New T-shirt design inspired by Truman Burbank’s fictional hometown in the wonderfully subversive satire The Truman Show. 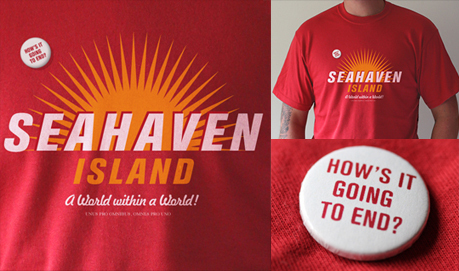 Includes a FREE ‘How’s It Going To End’ badge! Click on the image for more information.